Being injured in an accident can be a terrifying and frightening ordeal. Injured accident victims often find themselves in and out of hospitals and rehabilitation centers, unable to work and provide for their families. During this time, medical expenses and bills begin to pile up, causing unnecessary financial burdens for families already reeling from the accident. Even worse, many accident victims are left dealing with chronic pain or permanent disability as a result of their accident, further jeopardizing their lives and their families. When this occurs, it is important to know that the law is on your side. Accident victims have a legal right to file a personal injury lawsuit against the negligent party. Unfortunately, unscrupulous insurance adjusters often pressure injured accident victims into signing a quick and easy settlement just days or weeks after their accident. These settlements may only be a fraction of what the injured victim will likely need or are entitled to as they attempt to recover and put their lives back on track. If you or someone you love has been injured in an accident in Billings, do not sign anything without first speaking to an experienced Billings injury lawyer. Your personal injury attorney can review all aspects of your case and help you seek maximum compensation for your injuries. As noted above, auto accidents are the most common reason for a personal injury claim to be filed. Unfortunately, following a car accident you must deal with your injuries as well as the financial burden associated with those injuries—and possibly an insurance company which has little interest in the outcome. According to car industry experts, the “average” driver files a claim for a car accident about once every 17.9 years. This means that over the course of a lifetime, the average driver will be involved in three to four auto accidents. The National Safety Council found that about three out of every 1,000 auto accidents will result in a fatality, but even when the crash causes no fatalities it can leave serious injuries in its wake. Most auto collisions happen within five miles of the driver’s home, however this is not all that surprising, since most of us do the bulk of our driving close to home. Distracted driving is fast making its way up the list to rest among the top causes of auto accidents. Distractions include texting, talking on a telephone, listening to music, watching what is happening on the side of the road, talking to passengers or fiddling with your GPS. Further, having multiple children in your car is considered to be four times as distracting as driving with an adult, while having an infant in the car is considered eight times as distracting as driving with an adult passenger. “Typical” injuries suffered by those in auto accident include broken bones, contusions, neck and back injuries and traumatic brain injuries. A serious injury or fatality occurs approximately every sixteen minutes in the United States from an accident involving a large commercial truck. It is hardly surprising that passengers in the vehicle which collides with a truck are likely to be killed or severely injured. After all, a large commercial truck can weigh up to 80,000 pounds, fully loaded. This is equal to nearly thirty times the weight of a normal passenger vehicle. Perhaps the number one cause of truck accidents can be linked to overly-fatigued truck drivers. Truck drivers are forced to work long hours; when they are not behind the wheel, driving, they are not earning money. Truck accidents are much more complex than accidents involving only passenger vehicles. This is largely because there may be more than one defendant in a truck accident case. The truck driver could have been at fault, or perhaps the trucking company exhibited negligence in hiring practices or were aware the driver had exceeded the allowed number of driving hours. The truck maintenance company may have failed to perform regular maintenance, therefore could be responsible if failed brakes or tires were the cause of the accident. The loading company could have neglected to properly secure the load and the accident could have occurred because of that negligence. Finally, the actual manufacturer of the truck or truck parts could be held responsible if a dangerous or defective part was responsible for the accident. A skilled truck accident attorney is critical to identify the responsible party in your truck accident then obtain the maximum compensation for your injuries. Almost five thousand motorcyclists died in motorcycle accidents across the United States in 2013. This number was actually down a bit from the previous year, however nearly 90,000 motorcyclists sustained serious injuries from those crashes in 2013. Motorcyclists have none of the protections those in passenger vehicles have such as a steel and glass cage, airbags and safety belts. Because of this, motorcyclists are a staggering 26 times more likely to die in an auto accident than those in the passenger vehicle. Motorcycle accident claims are among the more difficult type of claims to present to a jury. Unfortunately, there are certain stigmas attached to motorcyclists, and some jurors may have preconceived notions going in to the case. Many people believe motorcyclists are reckless and take unnecessary chances while riding. Your motorcycle attorney will not only understand the mechanics of motorcycle operation and the dynamics of a motorcycle accident, but also the laws pertaining to motorcycle accidents and the stereotypes necessary to overcome to have a positive outcome. You may have suffered the loss of a loved one as the result of an accident which was caused by the negligence of another person or entity. The legal term for such a loss is “wrongful death.” A wrongful death claim can be brought by the survivors of the deceased. Of course, no one’s first thoughts following the loss of a loved one are about money, but, unfortunately, there may be a spouse and children who depended heavily on the deceased for financial support. This can make it necessary to consider the financial side of the death. A wrongful death claim seeks compensation for the economic losses of the survivors. 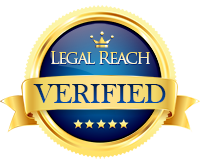 Wrongful death cases can be very complex, and, as such, are best left to an experienced wrongful death attorney. A wrongful death attorney will conduct a thorough investigation to build your wrongful death case and will ensure your rights are protected and preserved. If you have been injured in an accident caused by the negligence of another, you may have suffered serious injuries which have caused you to forego your regular paycheck because you cannot work, as well as to deal with your medical expenses. This can be an extremely frustrating, stressful time for you, as you try to figure out how to get by, financially, because of an accident which was not your fault. Having an experienced Billings personal injury attorney by your side during this difficult time can allow you the time you need to heal from your injuries, while your attorney takes care of the legal aspects of your case. Those who have a personal injury attorney working on their behalf are much more likely to receive an equitable settlement following their accident. Choosing an attorney is an important decision. It may be the difference between losing your case and getting the best results possible. In order to determine if we are the right fit for you, we offer free consultations. Please contact us today to schedule a meeting.